I bought this foundation back in April and immediately fell in love with it. The clue is in the name, but this foundation really makes my skin look even better. I find it has a great coverage, but doesn’t feel too heavy. This is a fairly firm favourite for me, and one foundation that I think I’ll always repurchase. This foundation was recommended to me by my friend Simone the last time I went up north. She’s a big fan of Bobbi Brown and I’d never tried it before and decided to get colour matched when we were there. This is a fairly light foundation when it comes to coverage, hence the name ‘skin’, but I find I’m comfortable enough with my skin to wear it. This is becoming another firm favourite within my makeup collection. 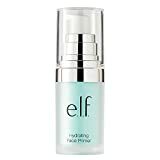 This is probably one of the most raved about primers in the beauty world, and it’s certainly won me over. Although I’ve only ever had sample sizes of this product I’ve found myself wearing this most of the time. I’ll certainly be buying the full sized version of this when my spending ban is over. This is something I won in the Bourjois A-Z of Beauty Giveaway and was probably one of the products I was most excited to try out. Its fabulous at giving a luminous complexion and gives you a great youthful glow. I got this mascara in the second BBB Edit Box and immediately fell in love with it. It’s great at creating volume and length, which is something I look for when it comes to mascara. Another Benefit favourite. It creates long dramatic lashes. Only problem with it is it can be a right pain to take off! Two of my friends actually bought me this for my birthday last year after they heard me gushing about how much I loved the look of it. I actually use the shade Faint daily to fill in my eyebrows, and I use the rest of the palette pretty much every time I wear eyeshadow. This is another one of my Bourjois winnings that I immediately fell in love with. Usually I’m put off with pink shades but I found that this is such a soft colour and when blended in it suits my pale skin tone. I also really love the cream blush formula, which is something I’ve not usually got on with in the past! This has probably been the only blusher I’ve used for the past couple of years until recently. It’s a gorgeous peachy shade, I’ve been wearing it non stop and it’s only just hit pan. I really love lip crayons this year, which I think is the influence of Shona, but this one has been a favourite. It’s a gorgeous deep red shade, and it helps to stain your lips meaning it can stay on for ages. Which is a plus for me as I’m always forgetting to reapply my lipstick! I was really late on the Apocalips bandwagon this year but once I tried this one I was hooked. I really love how easy it is to apply with the heart shaped wand, and the liquid formula. This year Bex introduced me to Soap & Glory’s lipsticks, but it was this one that won my heart. It’s a matte shade which is different from what I usually go for but I’m really in love with the colour. This is an old favourite that I’d actually forgotten about until a few months back. But once I started wearing it again I fell in love with it all over again. I really love the lavender undertone to this, and it makes it different compared to my other lipsticks. I don’t usually go for red lips but when I do it was either this shade or one other that took my fancy. I’m actually really impressed with the pigmentation of this in comparison to the Revlon lip butters which I don’t think are brilliant. This is the other lipstick that I pick out for when I fancy a red lip. I love the formula of this one, and especially how it helps to stain your lips, making your application stay on for longer. This was my very first MAC lipstick a few years ago and my love for it is still going strong. I adore the colour and the cremesheen formula, and this is certainly one I will repurchase over and over again. This is more of a recent love, but it was still a favourite in 2013 non the less. It’s a very similar shade to Creme Cup and one that I’ve found I can’t stop wearing since I bought it.